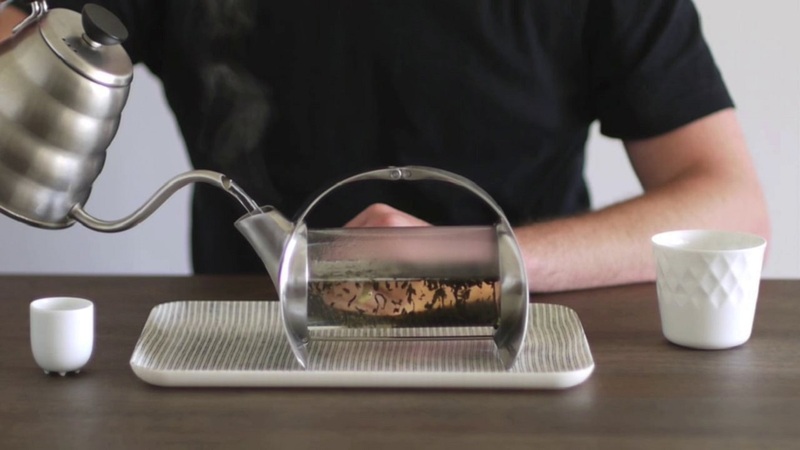 Experience the overwhelming process of tea brewing while it resides on this Sorapot by Joey Roth. 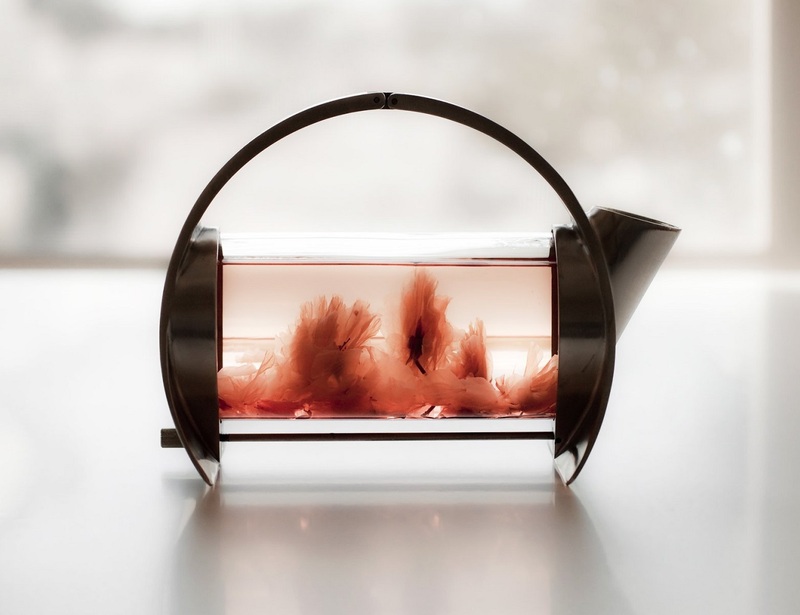 It portrays a modernistic design with a special, architectural glass tube that highlights the tea brewing process happening within. 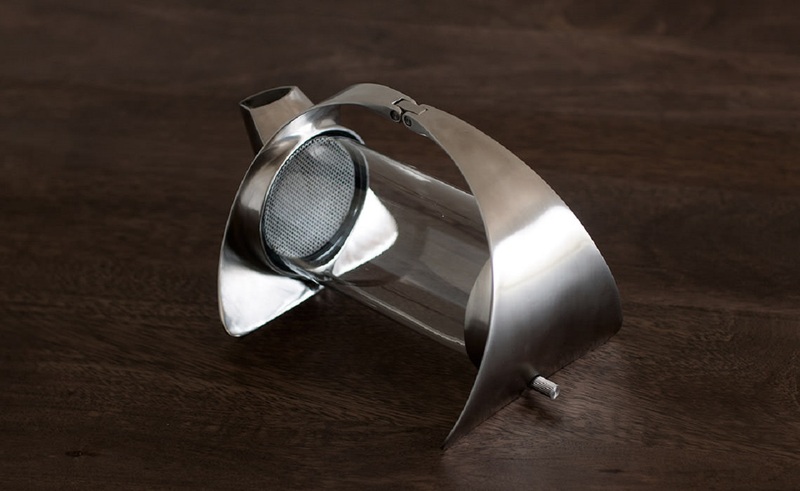 The pot can hold upto 11 oz of liquid at a time, perfect for filling two tea cups at once. 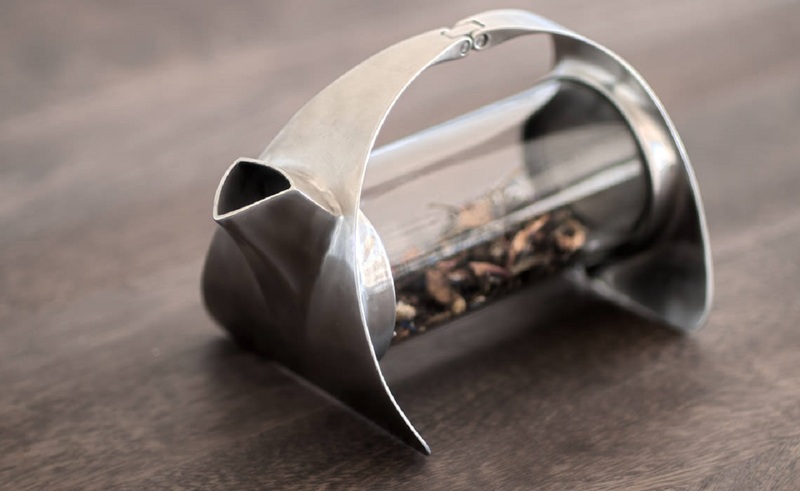 So, be it your morning bed tea or your evening tea when watching the sun go down, this pot brings that added charm of design excellence on your tea table. 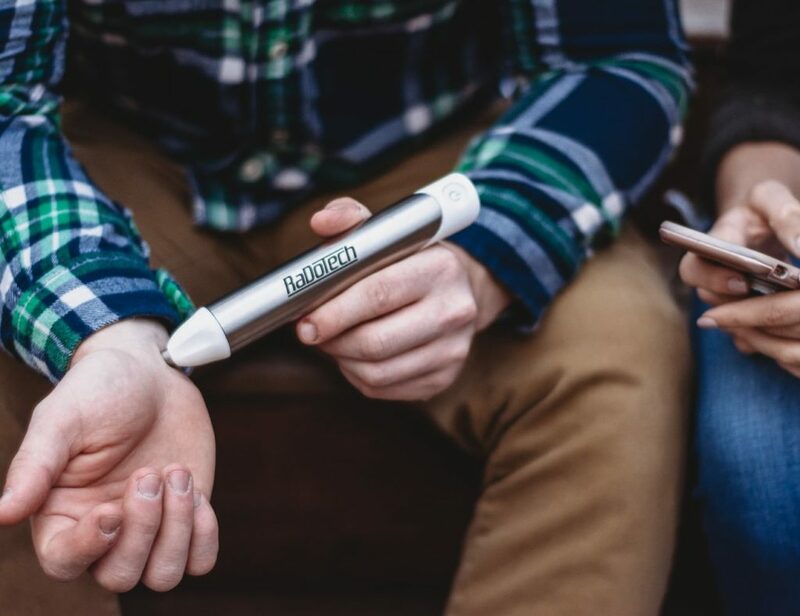 It has been made of stainless steel, pyrex, and natural silicone and comes in an eco-friendly packaging for you to enjoy the natural side of tea brewing everyday.